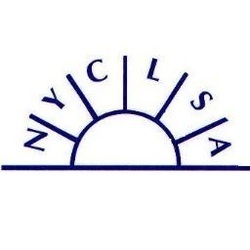 NYCLSA is actively looking to fill these Board positions very soon. If you are interested, please contact Jane Neuburger at janeneuburger@outlook.com or Sharon Green at sgreen@niagara.edu. ​For more information, contact Julie Jackson Coe at JJCoe@genesee.edu; Medea Rambish at mrambish@monroecc.edu; or Sharon Green at sgreen@niagara.edu. NYCLSA 2019 Promising Student Award Winner Announced! NYCLSA is pleased to announce that the winner of our 2019 Promising Student Award is Kayla Robinson. Kayla, a first-year student at Niagara University, earned a B in the integrated reading-writing course she took in her first semester. This developmental course inspired her to become a better writer. She also met faithfully with her academic coach, got involved on campus, and worked a work-study job. Kayla is a very serious, hard-working student but she struggles to afford tuition and books. This award will help her a great deal. NYCLSA congratulates Kayla Robinson, clearly a student with promise. NYCLSA 2018 Professional Development Scholarship Winner Announced! Ellie Fosmire is the recipient of the 2018 Professional Development Scholarship of $500. Ellie, Academic Success Coordinator at Fulton-Montgomery Community College, will use the award to complete her doctoral work at Concordia University. She is researching the impact of virtual applications in supporting tutoring through social media. To advance standards for Learning Skills professionals through education, research and public service. To develop principles and standards for the establishment of learning assistance centers. To assist in the professional development of learning skills professions. To provide a forum for the interchange of ideas, methods and expertise to improve the learner's relationship with his/her institution and educational environment.